Additions are a fantastic way to get your dream house while keeping the home and neighborhood you already love. At Optimum Construction, we have the remodeling and construction team you need to expand upward or outward with a beautiful home addition. Whenever you’re ready for a consultation with our home addition experts, please contact us or call (240) 422-9990 at Optimum Construction. Our design and build team is here to listen and provide guidance for any home addition project. If you have space and want to extend your square footage, but aren’t quite sure what the best type of addition is for your home, our experts can help. We keep a finger on the pulse of all the trends in home renovating and the Montgomery County real estate market in particular. Additions are best handled by home contractors capable of new construction, because the process includes virtually all the same skill sets and resources as building a custom home. Our team can take care of everything from obtaining the Montgomery County building permits to post-construction cleanup so you’re ready to enjoy your new space immediately. The finished result can look seamless and natural, as if it was always there. We can also combine a home addition with a remodeling project to totally transform the entire property. It’s your vision—and we make it happen! Call (240) 422-9990 to reach our home addition contractors today! Optimum Construction takes a client-focused approach at every step so we can deliver exactly what you want. From the initial consultation, our team begins sculpting the project according to your personal aesthetics, budget, and the best home remodeling choices for your existing property. We’ve been building new homes and additions throughout the Washington, D.C. region since 2008 and we partner with our sister companies that are nearly a century old. 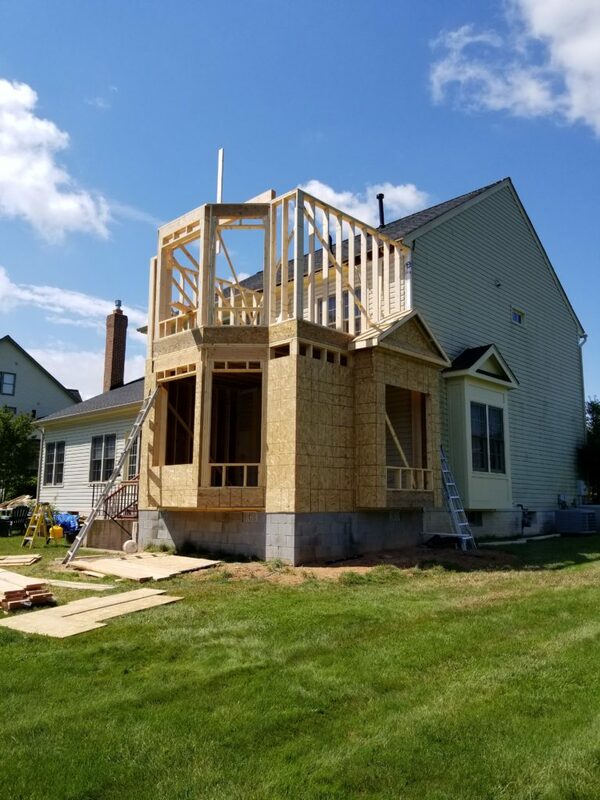 It all adds up to give you the experience of working with a confident, knowledgeable, skilled contractor for a home addition. Of course, all that really matters is the quality we provide to your home remodeling project. That’s why we focus on great customer service and never compromise on craftsmanship, no matter how small or large the project. Adding a room or extending your living space can be the best decision you ever make for your home. Optimum Construction has the skilled, expert team to realize that dream. Request a consultation or call us at (240) 422-9990 today to discuss home additions in Potomac, Bethesda, Rockville or neighboring communities. Read our reviews on Google. 4.9 stars from 29 reviews. © 2019 Optimum Construction. All Rights Reserved.